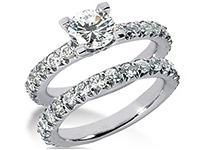 Is it secure to buy a wedding ring from WeddingBandswholesale.com? 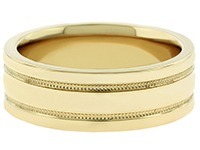 WeddingBandswholesale.com have sent me the wrong ring, what should I do? WeddingBandswholesale.com have sent me the wrong sized ring, what should I do? I know my ring size in other international measurements. How can I find out how to convert it to American measurements? 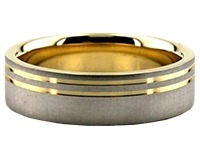 Email the Return Authorization Department at RMA@weddinbandswholesale.com or call the Customer Service Department at 800 515 1561, explain the situation and we will email you an RMA number and instructions for sending it back for the right ring. 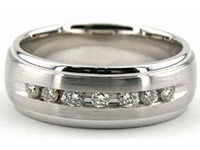 Email the Return Authorization Department at RMA@weddingbandswholesale.com or call the Customer Service Department at 800 515 1561, explain the situation and we will email you an RMA number and instructions for sending it back for the right ring size. 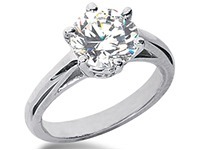 If the wedding ring you ordered does not fit your finger size, you can return it once within Thirty (30) days from the date shipped to be sized or exchanged for the proper size. Just specify your correct finger size. 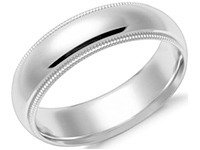 You will be charged for sizing and shipping the wedding ring back to you. 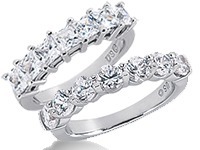 Please note Diamond wedding bands cannot be resized. They must be ordered to your exact size. 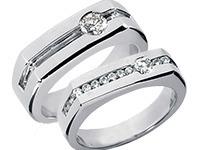 If for example, you are between sizes, order your ring to the closest LARGER size. Example: For size 9.75 order size 10. 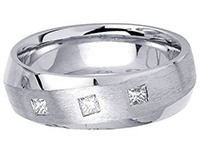 Please indicate to size the wedding band to 9.75 in the Comments section of the Checkout form. We have a helpful International Sizing Chart to help convert your measurement to our American measurement. The chart is located under Information, on the left side of the page. 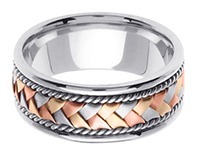 By clicking on the “Ring Sizing Options" link, located At the Bottom of the web page. You can print out our easy to us printable finger sizer. There are 3 different methods provided on this print out. 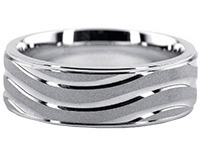 Another alternative that we offer is to order a free ring sizer kit located on our "free sizing" page. 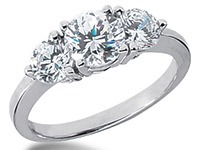 We promise to make every effort to get your ring to you in a prompt manner. 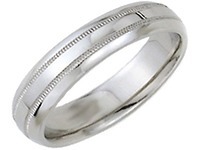 However, certain sizes, materials, and handmade wedding bands require at least 1-6 working days to manufacture and plus the shipping days. 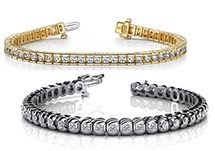 When planning your order we suggest planning for this manufacture time, along with the shipping time, which you can choose from our many options. 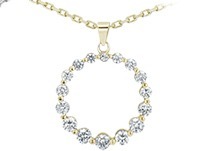 To check the status of the order just click on the Order Status Link On the bottom or In the Information bar on the Top of the web page or just the click on the blue hyperlink in this text. Sign in using your Email and Order Number. You Will Then See The Status Of Your Order Appear On The Screen. No. 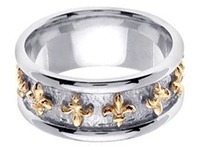 White gold, is yellow gold with added alloys to give it a white appearance. 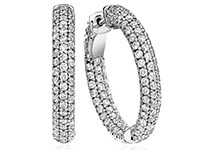 We offer 14-karat and 18-karat white gold, which means that either 14 or 18 parts of the actual metal, out of a total of 24 are gold. 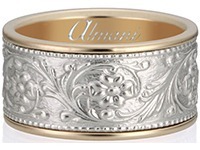 The rest of it is a mixture of alloys that gives the gold a white color. 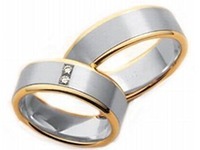 More information concerning our rings or precious metals can be found and Precious Metals page. Just click on the link. 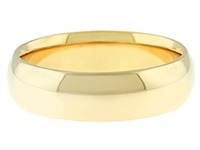 Karat is simply used to indicate the purity of gold. 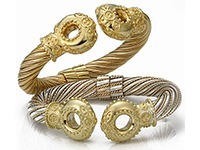 Gold is actually a mixture of gold and other metals. 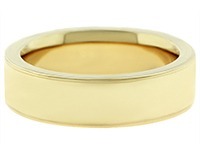 24-karat is pure gold(999% gold, 24K), 18-karat is 75% pure, and 14-karat is 58.33% pure gold. 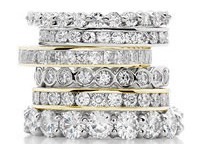 For more information about gold or other precious metals, click on the Precious Metals link located under the Information menu on the left side of the web page. 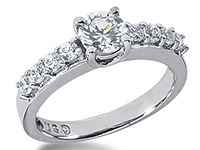 The term carat is used to measure the weight of a diamond. Further knowledge of this can be found under 'Diamond Guide' article. This article is located in the Education section, located on the left side of the page.